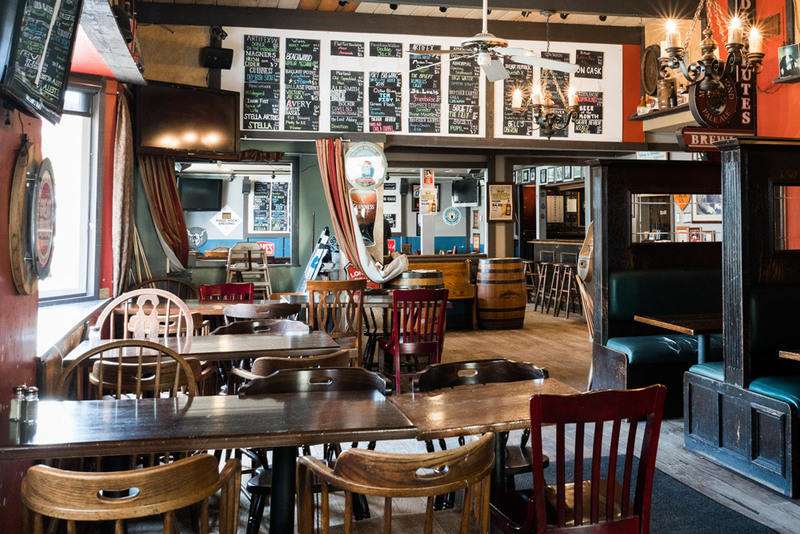 Like traditional public houses in England, Churchill’s Pub & Grille in San Marcos is a focal point of the community it serves. 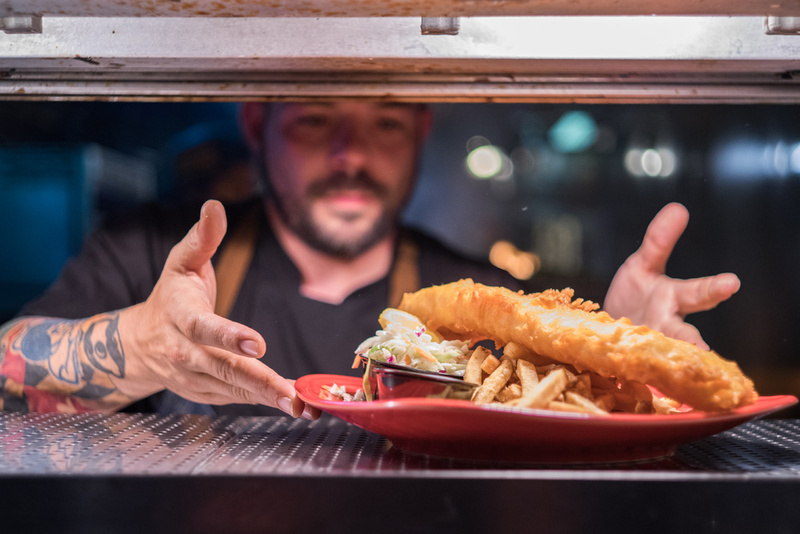 And like the English pubs, Churchill’s is socially and culturally distinct from ordinary chain restaurants and bars, such as those just down the road. Step inside Churchill’s and you will see what we mean. The ambiance is authentic English pub charm: a big wooden bar, cozy booths, colorful flags, a pool table and dart boards; all glowing in the afternoon light filtering through stained glass windows. WWII photos and posters, maps of Britain, vintage beer signs, and a welcoming, friendly staff and clientele complete the ambience. Churchill’s is more than its ambiance, however. Oh, so much more. 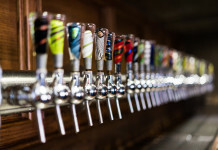 Here craft beer and craft food is showcased and highly celebrated. 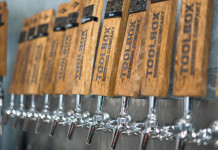 Behind the bar is a gleaming 50 tap tower that pours amazing beers. Coolers are stocked with bottles of rare beers from around the world. High gravity specialty beers are stored in the cellar for annual events the pub is famous for. 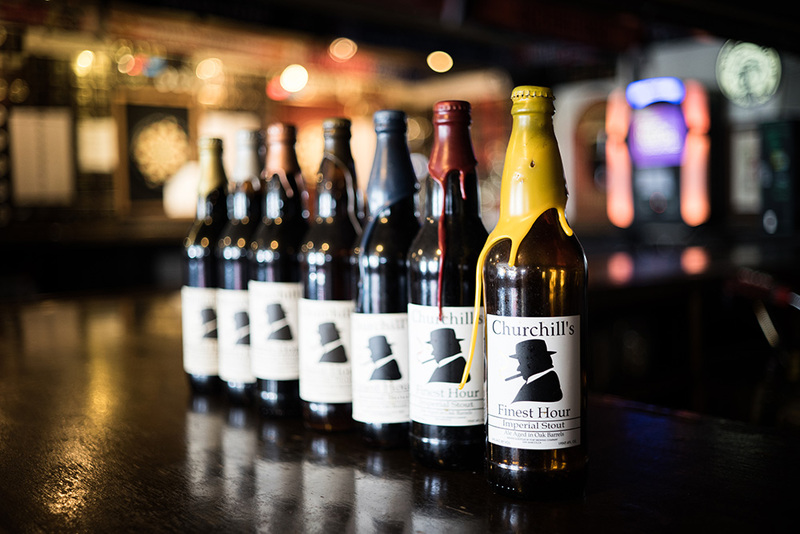 “Renaissance” is held each March to celebrate and savor Churchill’s Finest Hour, a barrel-aged Imperial Stout made solely for the pub by Port Brewing / The Lost Abbey, and 60 other rare and barrel-aged beers. 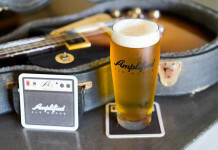 It is the premiere craft beer and food event on the West Coast. 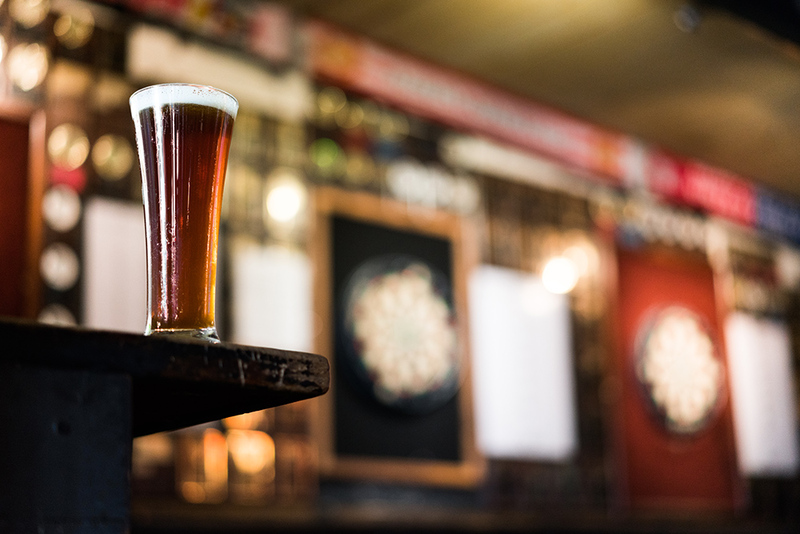 Held every September is the “Peter Reeves Memorial Sour Fest” when 50 of the best sour beers in the world are on tap to honor the memory of an old friend of the pub. 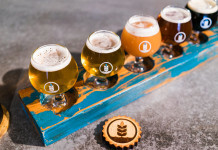 “Hops and Heat” festival happens in June when 30 IPAs, made special for the event by famous breweries, are on tap and on cask to be paired with fiery snacks and dishes created by Churchill’s own Chef Warfield. No wonder Churchill’s was named to Draft Magazine’s Top 100 Beer Bars (in America) in 2013 and again this year. But it has not always been that way. Before the venue was Churchill’s, it was Camelot Inn, a beer bar with a British theme. And way before that it was a farmhouse on a dirt, country road with farmland all around. It was only 14 years ago that Ivan Derezin bought the pub and began transforming the lemon into the mecca for beer lovers it is today. “It happened organically,” he confided humbly. Ivan started building the craft beer selection in 2004, then elevated the draft selection in 2010 when he increased the taps from 20 to 50. His focus then turned to quality food, making Churchill’s more well rounded. Born and raised in San Diego, educated at UCLA, Ivan is a third generation accountant and CPA. He is a well-educated businessman, an opera lover, and vegan. He gives back to the community through charitable donations and by serving on the board of directors for Charity Wings, a San Marcos non-profit. It was after much travel in England during his career as a CPA that Ivan decided to be a publican, instead. That decision is what turned a former farmhouse and dive bar into one of the top beer bars in the country. “I love English pubs,” Ivan admitted. “And Winston Churchill was an amazing, iconic character and great figure in history. 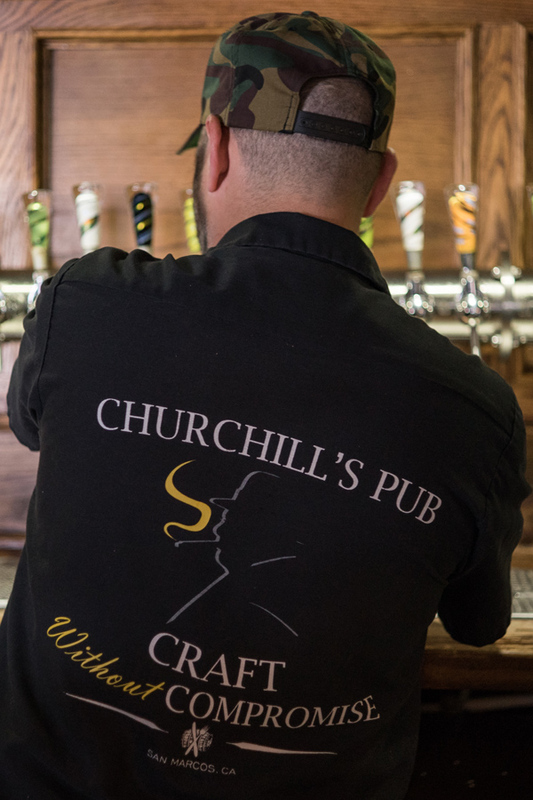 I wanted to create a comfortable atmosphere like the pubs in England, where all demographics are welcome.” Hence, Churchill’s was born. 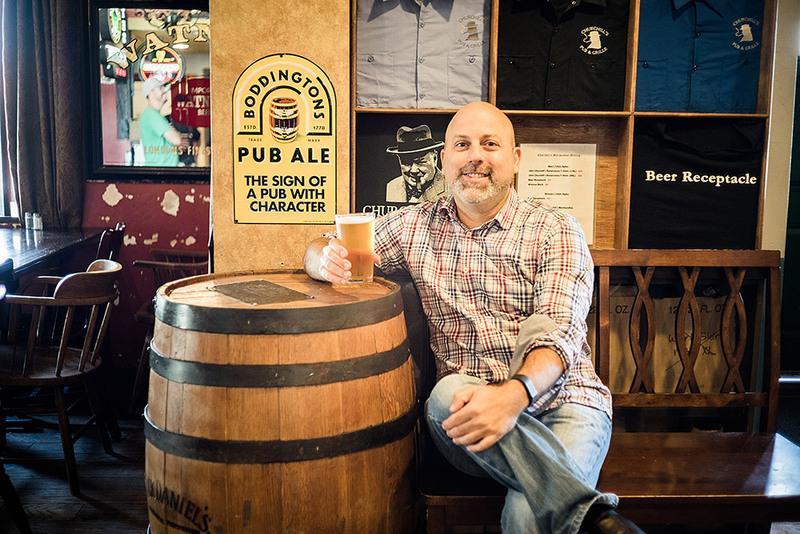 Managing Churchill’s and providing the education about craft beer to patrons is General Manager Jonathan Avella. Although he devotes most of his time running daily operations at the pub, somehow he found time to write and publish two novels which are sold on Amazon. 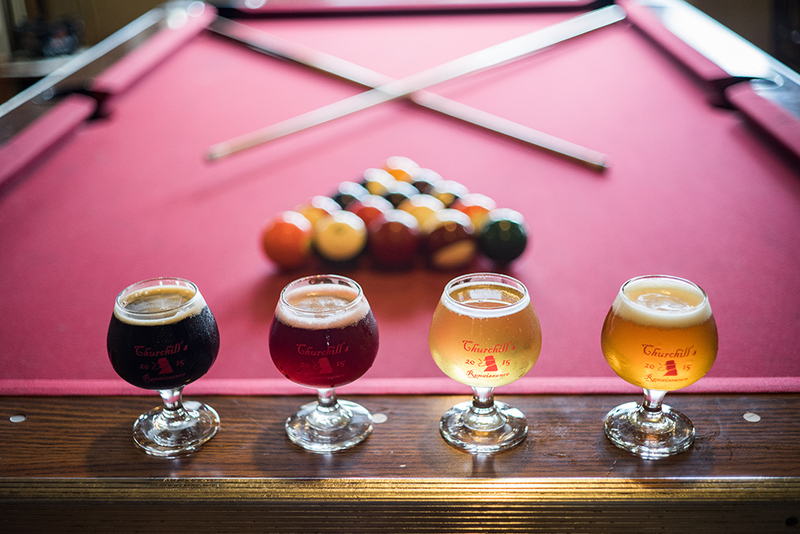 Known locally for years for having a great beer selection, delicious food, and neighborly atmosphere, Churchill’s continues to evolve as a beer geek magnet. 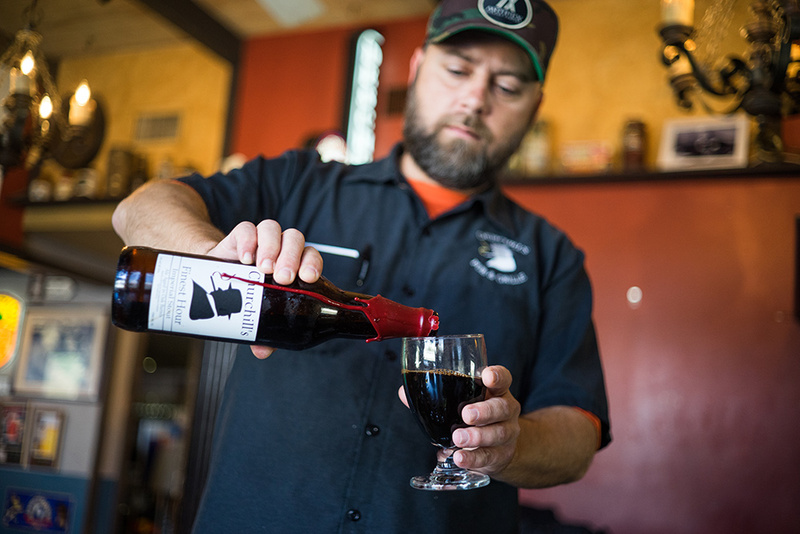 A good example of this trend is their annual Finest Hour bottle release which attracts large numbers of beer enthusiasts from far and wide. What started as a lark snowballed over the years and is now a major event. Churchill’s Finest Hour was first released in 2010 and its popularity drove collaborations thereafter. 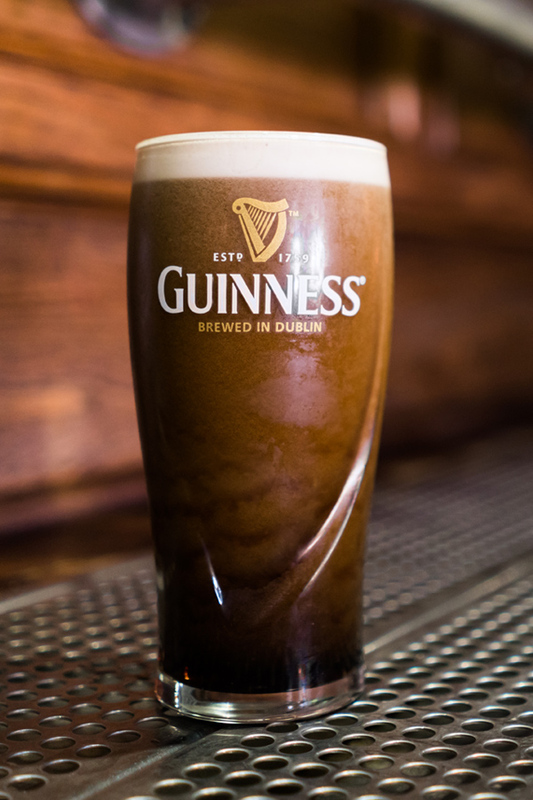 That same year, the pub began expanding its craft beer selections toward what it serves today, although solid English beers such as Guinness (on nitro) and Old Speckled Hen are still available. It was also the year Ivan brought in A.G. Warfield as Executive Chef. 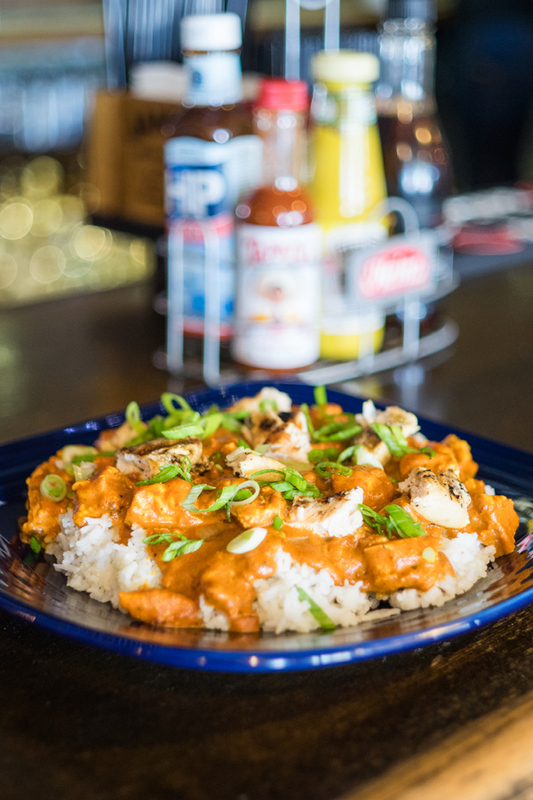 Some examples of what the kitchen at Churchill’s turns out on a regular basis are craft dishes such as Chicken Tikka Masala, Kobe Meatloaf, and Vegan Filet “Steak”. 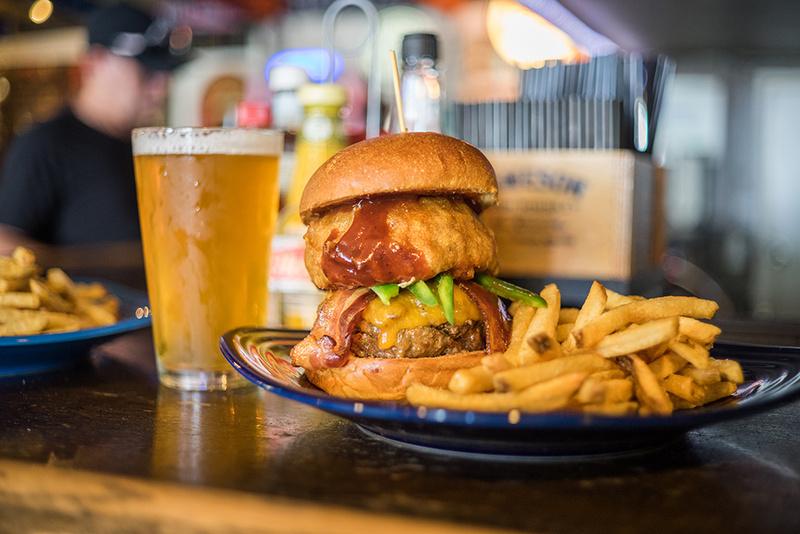 And on special occasions, they have been known to serve culinary delights like Duck Fries, Chicken Fried Frog Legs, Smoked Alligator Bratwurst, Chicken and Waffles, a Double Elk Burger, and a Pizza Burger. This year’s Father’s Day Beer Brunch at the pub exemplified this inspiration when Chef A.G. Warfield organized the “10 beers, 10 courses, 10 chefs event.” He brought in nine other chefs and each created a special dish for the brunch which paired a great beer with fresh ingredients that complemented its flavor profile. One of Chef Warfield’s creations for the brunch paired Abnormal Beer Company’s Boss Pour IPA with an oyster on the half shell creation that was, topped with mango, caviar, micro cilantro, and fresh horseradish. Reflecting on our visit to Churchill’s, it was a remarkable discovery of the long history of the old farmhouse that would eventually become a famous pub and important part of the Hops Highway. Now that we know how it became Churchill’s Pub & Grille, we almost expect to look out the windows and see farmland as you once could from this vantage point. The best part is inside, though, once you look around. Next articleEpisode #80: NOVO Brazil Brewing Co.